Asphalt Burner Services was carrying out the standard burner service during March 2012 and it was noted that the dryer insulation was near to non-existent due to heavy usage over the years. This was for a time, a repeated note in the previous reports and ABS had recommended that the dryer was reconditioned with new insulation. It is known that dryer insulation can save anywhere between 5-10%. On a 6meter length dryer it was calculated that there is a constant loss of 98KW/Hr based on internal temperature of 200C & an ambient temperature of 10C. During this time the fuel usage was running at an average 9L/T, fuel prices were higher than today’s prices, at approximately £0.52per litre for PFO. The plant annual tonnage was based on 60,000Tp/a. 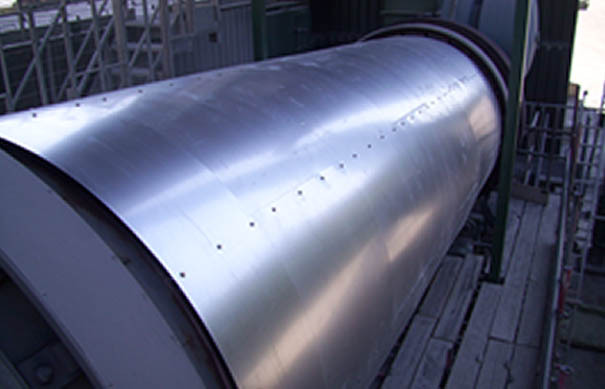 The insulation was also fitted with a unique design to allow expansion that will provide increased longevity to the insulation, this design is not carried out by asphalt plant manufacturers. The installation was straight forward with no access issue &carried out on site in October over a long weekend with a pre-planned Friday shut down with the burner reset up & fired on the Monday. 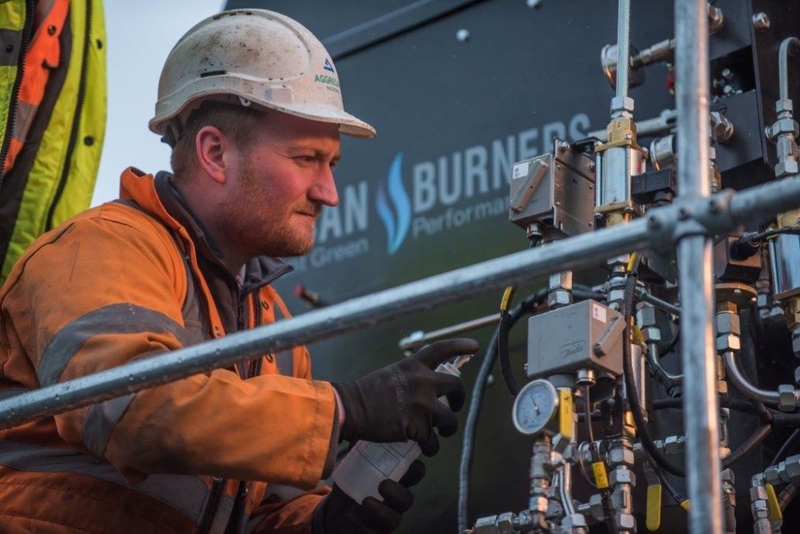 Once installed, the following service in December was carried out and after two months of fuel figures input, there had been a significant saving of at least 7.5%, the fuel figures averaged 8 litre/ton meaning overall there was a 10% saving. No other works or step changes had been carried out to the system and there was also room for improvement such as replacement of lifters as these had deteriorated slightly within 8 months since the initial service.